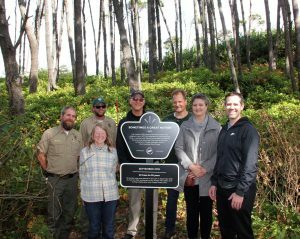 The Oregon Film Office and Oregon State Parks planted 50 Sitka Spruce, Western Red Cedar, Douglas-fir, and Western Hemlock seedlings conifer trees at Gleneden Beach State Recreation site to mark the 50th anniversary of the Oregon Film Office and its long standing collaboration with Oregon State Parks. Additionally, at this site, a sign was erected as part of the recently created the Historic Oregon Film Trail. 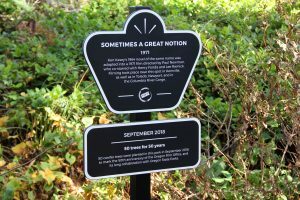 The sign indicates that the movie, “Sometimes A Great Notion” was filmed very close to the park and in and around the Siletz River area. Ken Kesey’s 1964 novel of the same name was adapted into a film in 1971 and was directed by Paul Newman, who co-starred with Henry Fonda and Lee Remick. Other locations such as Toledo, Newport and the Columbia River Gorge, served as scenic Oregon locations for the film. 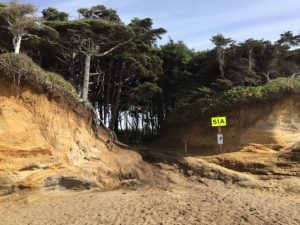 By joining efforts, Oregon Film and Oregon State Parks Recreation Department created a uniquely Oregon recreational opportunity while being good stewards of our coastal forests. 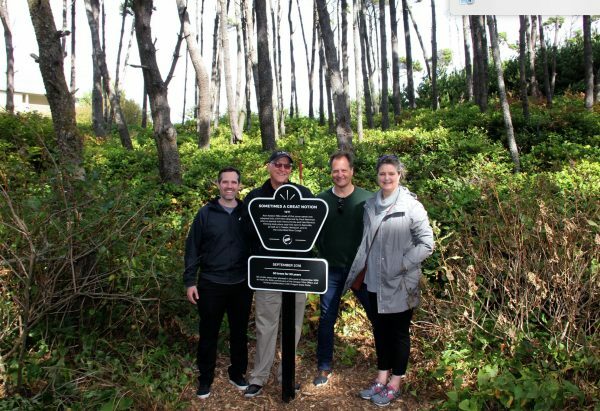 Oregon Film, in partnership with the OregonMade Creative Foundation has recently created the “Historic Oregon Film Trail.” The Trail consists of specially designed signs located at strategic points around the state and will be rolled out one location at a time. 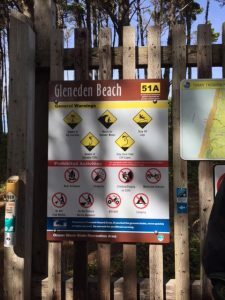 The signs will serve to identify specific important, and iconic, filming locations and will offer production facts and anecdotes intended to appeal to tourists and film buffs alike. The creation of the Trail aims to strengthen the correlation between the film/TV industry, economic development, and tourism. Jered Mangini, Jared Hyde, Bob Schmaling, Tim Williams, Jane Ridley and Nathan Cherrington. 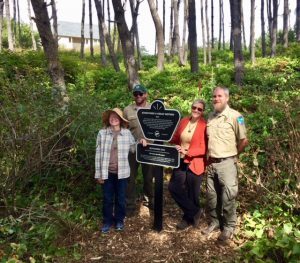 The mission of Oregon State Parks is to provide and protect outstanding natural, scenic, cultural, historic and recreational sites for the enjoyment and education of present and future generations. 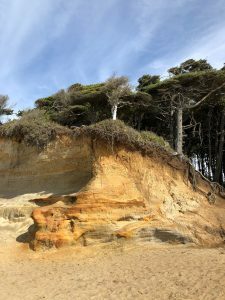 The agency manages nearly 260 state park properties throughout Oregon and serves an average of 50 million visitors annually. 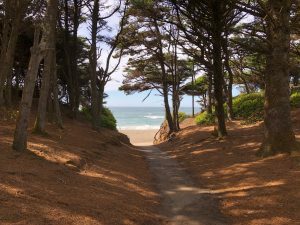 The forest overstory at Gleneden Beach is dominated by mature single-aged shore pine trees. Shore (lodgepole) pine is a pioneer species. As a relatively short-lived, fast-growing conifer, shore pine often colonizes a site following large ground-disturbing events like wildfire—dominating the forest stand for 150-200 years. 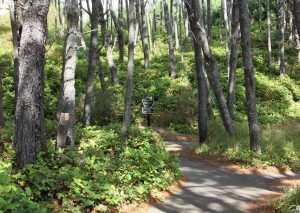 Mature stands of shore pine are vulnerable to windthrow from winter storms that are frequent on the Oregon Coast. The shore pine stands at Gleneden Beach are approaching old age. 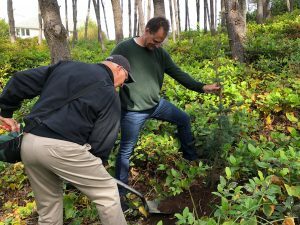 By under-planting a mix of coastal conifer seedlings (Sitka spruce, western red cedar, Douglas-fir, and western hemlock) throughout the shore pine stand, Oregon State Parks is planting a forest for the future that will provide more diversity for wildlife and park visitors.